It’s been said that sometimes the most productive thing you can do is simply relax. We understand, though, this often is easier said than done. However, once you cross the threshold into Ultimate Escape Day Spa, you will feel as if you have entered another dimension — one that brings much-needed and well-deserved peace and tranquilty. With dozens of services from which to choose, Ultimate Escape Day Spa literally has you covered from head to toe. Choose from any number of pampering delights, including body treatments, massage therapy, skin care, facials, nail care, waxing, tinting, makeup application, and more. Whether you want to enjoy an hour away from it all or even the whole day, Ultimate Escape Day Spa stands at the ready to serve you. 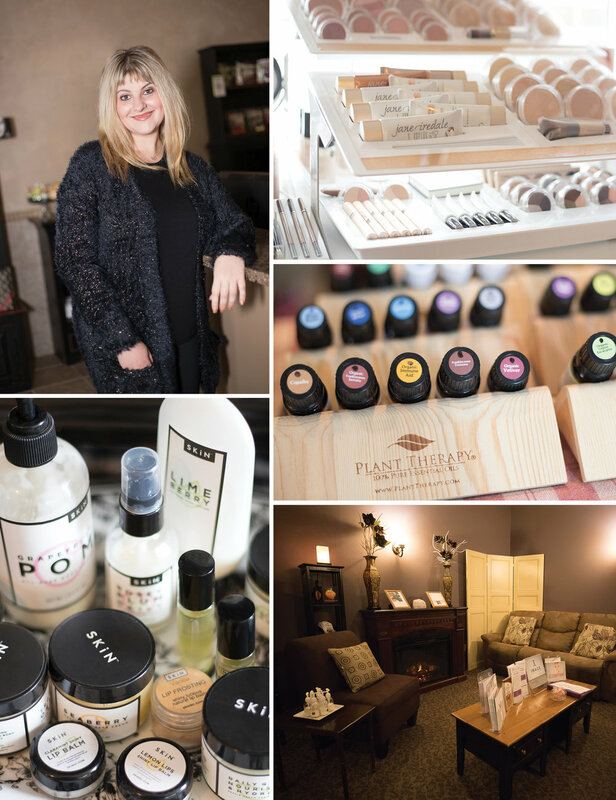 The spa also offers a wide selection of cruelty-free and nontoxic skin-care products, the most popular of which are Image and SKIN KC, an all-organic local skin-care line. Plus, with Mother’s Day on the calendar this month, you can find the perfect gift or spa package for that special woman in your life. One of the most requested services at Ultimate Escape Day Spa includes the Nature’s Delight facial. (Fair warning: Once you indulge in this slice of heaven on Earth, you probably will want to do so on a regular basis.) An all-organic therapeutic facial, this treatment begins with a deep-pore cleansing, exfoliation, and thorough extractions, followed by a soothing massage with essential oils and an apricot-berry clay mask to restore the natural balance of your skin. A new service introduced this spring is the Ultimate Relaxation Massage, a 60- or 90-minute massage that incorporates several modalities and techniques, including Swedish and deep-tissue massage, reflexology, aromatherapy, hot stones, Himalayan salt stones, or cupping. Therapists will choose the right technique to suit each client’s needs. After a hot towel treatment and shower, you’ll enjoy a luxurious firming body cream designed to reduce the appearance of cellulite and promote firmer, toned skin. “This service is perfect when you’re getting ready for a big event,” Sorkin explains. The spa is also a great place to pamper your bridal party before the big day or get your wedding makeup perfectly applied. This truly is the place where stress is not allowed. And, no matter what kind of stress you may have, Sorkin and her team always aims to make your visit a delightful one. If you’re ready to book your own luxurious personal spa escape, make an appointment by calling 913.851.3385 or visiting ultimateescapedayspa.com. The spa is located at 11674 W. 135th St. in Overland Park. Ultimate Escape Day Spa also offers loyalty and referral programs.